In 1986 Kenner Toys was facing a problem. 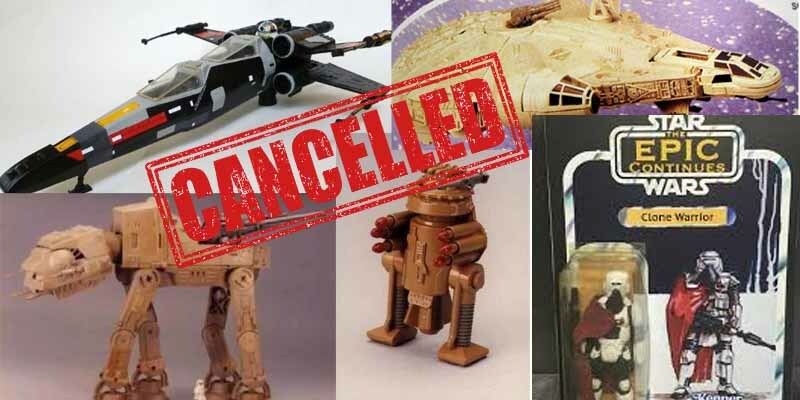 They had made a lot of money off Star Wars toys, but then Star Wars was over. Their solution was to make some new figures and then create a story to tie them together, a plan dubbed The Epic Continues. Early concept brochures told the story, which followed the heroes of the Original Trilogy facing a resurgent Imperial threat lead by a rogue geneticist who had started the Clone Wars. It’s unclear exactly how Kenner would tell a story purely through toy sales, but the premise seemed pretty solid. They made some badass-looking Clone Warriors, a Millenium Falcon with a cargo shuttle at the front, a 2-seat X-wing, an AT-AT walker with a giant cannon on it’s back, an alien tribe epically named Mongo Beefheads and bunch of other things. When the whole idea was pitched to LucasFilm, the idea was shot right down. Even though The Epic Continues faded into obscurity, it still remains one of the first attempts to create a Expanded Universe.